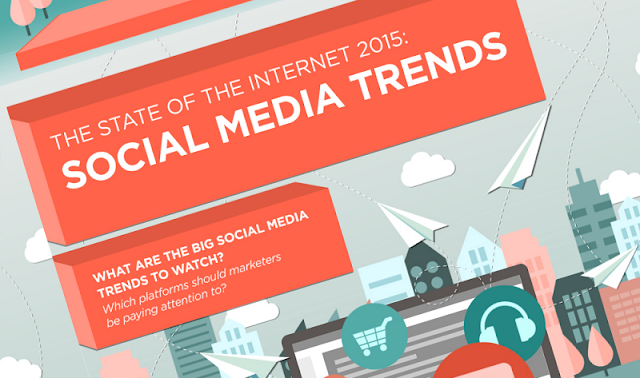 There’s been a lot written regarding the top social media trends for 2015. Fortunately, you won’t have to scour through report after report to make smarter marketing decisions. A new infographic named “The State of the Internet 2015: Social Media Trends” from MDG Advertising precisely details just what you need to know. 6 of the top 10 most-used apps globally are messages apps. Mobile messaging apps are becoming the cornerstone of communication, especially among younger demographics. Currently on Facebook, 50 percent of daily active users watch at least one video per day. And Mark Zuckerberg, the CEO of Facebook, has said that he expects the social network's News Feed to be mostly video in 5 years.